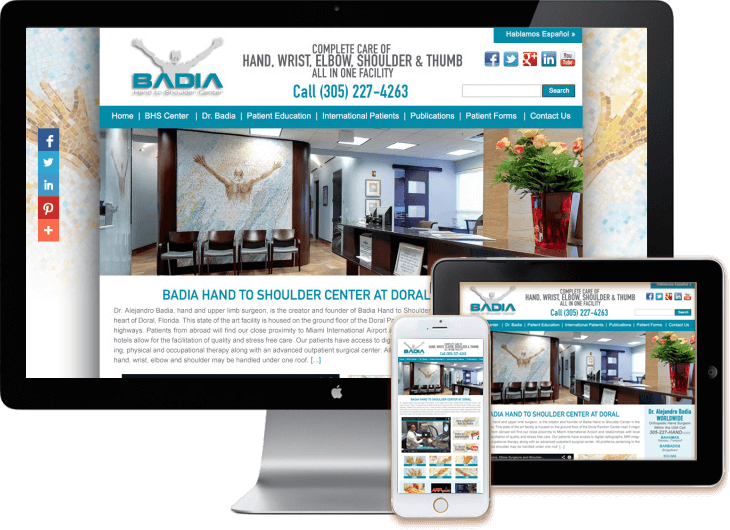 Hand Orthopedic Surgeon Medical web site design and custom WordPress Networks CMS for Miami Hand Surgeon Dr. Alejandro Badia and Upper Extremity Medical Center. Multilingual web site English and Spanish on WordPress Networks CMS. 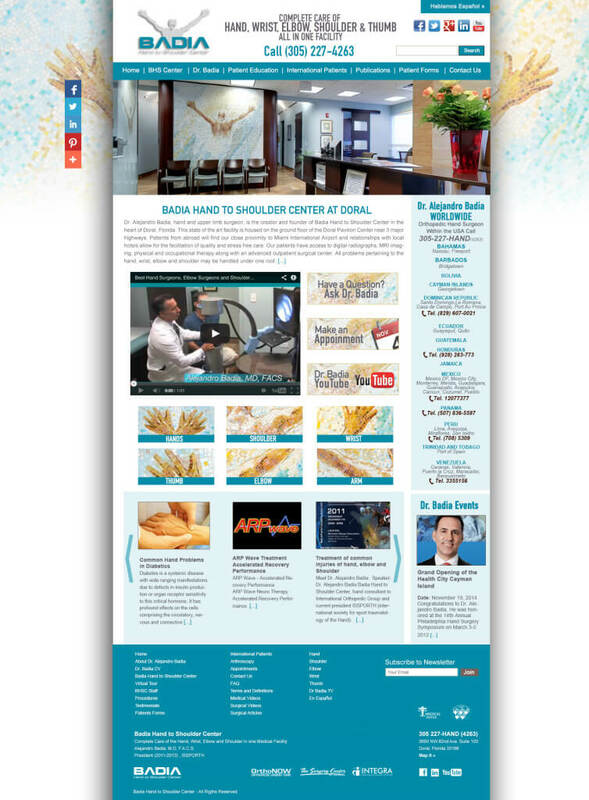 Organic SEO; client is Dr. Alejandro Badia is #1 hand orthopedic spcialty in Miami.